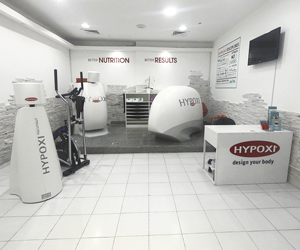 We are pleased to announce the opening of the newest authorised HYPOXI-Studio at Naturopathy Touch Spa and Rehabilitation Center in Dubai, United Arab Emirates. The studio located in Jumeirah Lake Towers targets men and women in the mainly expatriate neighborhood that offers multiple choices available from leisure & recreation through to retail, hospitality, dining and outdoor activities. BodySmart, established in Dubai in 2005, is the leading supplier of concepts for targeted body shaping in the UAE, comprising of world-class innovative technologies such as HYPOXI and LPG. BodySmart has an ever growing database of clients who are conscious of their health, wellness and fitness & have a massive expansion plan in the region. The HYPOXI-Studio in Naturopathy Touch Spa and Rehabilitation Center is already BodySmart’s 5th authorised HYPOXI-Studio and operated as a business collaboration. Naturopathy Touch Spa and Rehabilitation Center have 2 branches in Jumeirah Lake Towers. They specialize in complete beauty and wellness with services such as LPG, Laser Hair Removal, a Yoga studio, Ladies and Men’s Salons, Massages, Spray Tanning, Solarium Sunbed Tanning, Teeth Whitening among other services for men and women. By incorporating the HYPOXI-Method, the spa has now become a one-stop-shop for all aesthetic, slimming, targeted bodyforming and wellness needs.